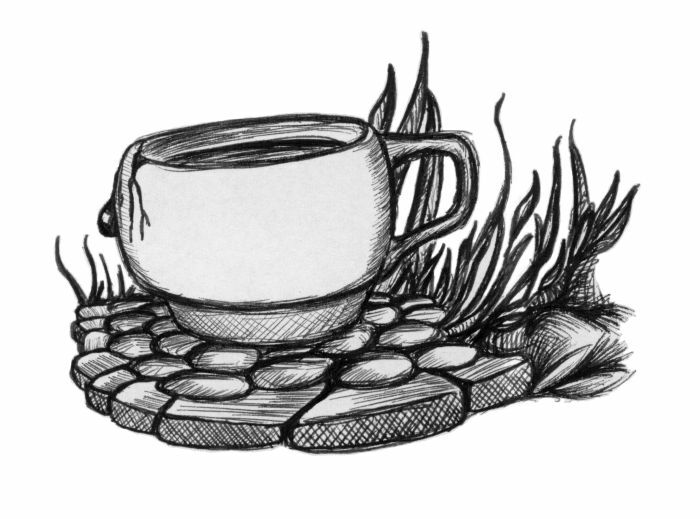 I like things that are slightly skewed and out of place, such as an irregularly proportioned tea cup with a crack set amongst a tiling of pebbles and stones. Another tea cup picture was given to a colleague; that image featured a cup on a saucer, with an abstracted human figure stretching as it emerged from the confines of the cup. The above image was drawn on July 30, 2003.